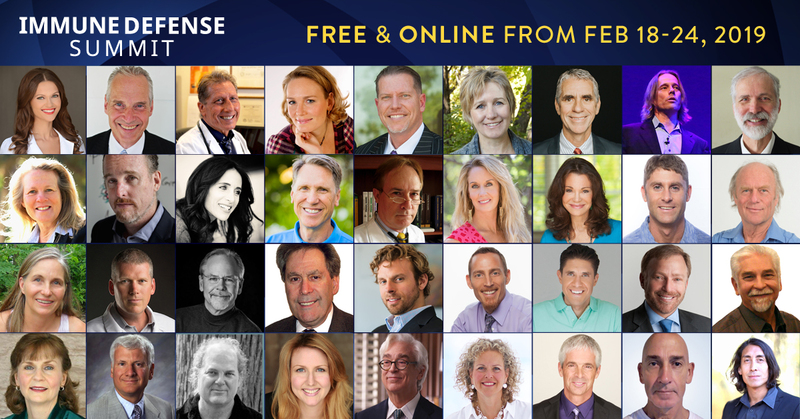 SUBJECT: [STARTS MONDAY] These experts could boost your immune system! SUBJECT: Things you NEVER knew about your immune system! SUBJECT: Re: Your front-row seat at Monday's Immune Defense Summit! We've teamed up with Jonathan Landsman for The Immune Defense Summit, starts THIS Monday -->  Register for free now! Tens of thousands will learn from the expert wisdom to rejuvenating the immune system and neutralizing the threat of superbugs, pandemics, viruses and other chronic infections. Will you be there? You should be. Because too many still remain uninformed about the best protocols to prevent illness and defeat diseases like autoimmune disorders, cancer, heart disease and the looming threat of "superbugs," which are on pace to be MORE deadly than any other health condition. These are the experts you definitely DO NOT want to miss on Monday! 1. Register immediately to make sure you'll see the free talks! 2. [SALE ENDS MONDAY! SAVE UP TO $40] Support the mission to help the world heal when you buy the expert talks to learn from at your OWN pace (thank you)! When you purchase the talks, you gain long-term access to learn from them at your own pace, plus access to the transcripts AND you unlock the bonus eBooks and eGuides from the amazing speakers! See you at this important learning event! P.S. Be sure not to miss these expert talks, free gifts and, if you'd like to keep these talks in your health library, take advantage of the sale prices before Monday! SUBJECT: Get these immune strengthening eBooks and expert talks THIS week! SUBJECT: Worth-watching (and free!) expert talks this week on immune strength! SUBJECT: [This week] Learn about immune strength from expert talks & eBooks! There are some MUST SEE expert talks about boosting your immune system this week you should definitely check out: Dr. David Jockers, Marjory Wildcraft, Dr. Peter Osborne, Dr. Eric Zielinski, Wendy Myers, Sayer Ji, Dr. Tom O'Bryan and more! AND, when you access these talks, you also UNLOCK exclusive eBooks, like Slash Your Risk of Chronic Disease and Infections by Jonathan Landsman, 7 Natural Keys to Wellness eBook by Dr. Michael Murray, Heal Your Gut with Essential Oils eBook by Dr. Eric Zielinski and more! --->>Click here to check out the these free expert talks and unlock the eBooks! THE REASON: Your best defense against today's (and tomorrow's) global health threats is a strong immune system. Yet, too many still remain uninformed about the best protocols to prevent illness and defeat diseases like autoimmune disorders, cancer, heart disease and the looming threat of "superbugs," which are on pace to be MORE deadly than any other health condition. It's time to give your immune system what it needs to protect your health! Such incredible information, be sure to check in today and plan the rest of your week accordingly! P.S. This FREE access goes away when the event ends (that's soon), so take advantage of them today! SUBJECT: Save $20 (and earn $580 in bonuses) on these immunity expert talks! SUBJECT: Immune boost expert talks weekend sale (+$580 in bonuses)! SUBJECT: Ready to keep these immune boosting experts around? 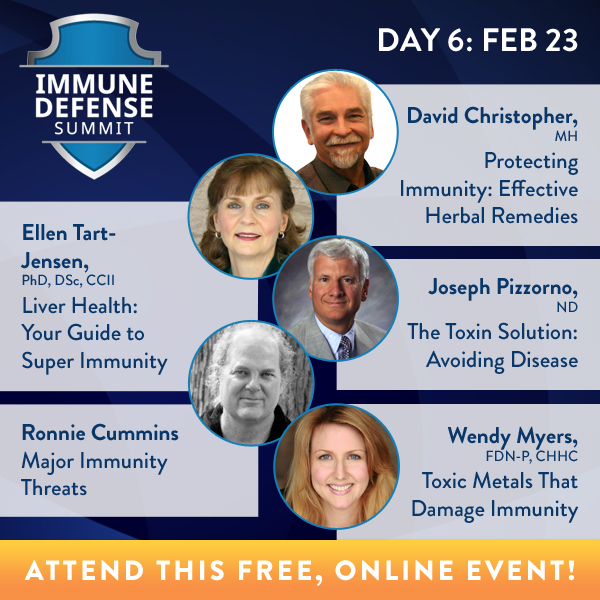 The Immune Defense Summit was a major, life-changing event  -- and when you buy the expert talks today, you'll also add over $580 in purchase bonuses (listed below)! Many have already decided to purchase these expert talks. They've realized how important it is to have this wisdom nearby... because it is true: your BEST DEFENSE against today's (and tomorrow's) global health threats is a strong immune system! But, too many still remain UNINFORMED about the best protocols to prevent illness and defeat diseases like autoimmune disorders, cancer, heart disease and the looming threat of "superbugs," which are on pace to be MORE deadly than any other health condition. --->>That's why I'm reminding you that the sale prices to own these expert talks expire on Monday! Right now, you can keep this advice from all 31 experts at your fingertips, starting at $79 (on Monday morning it increases to $99). This includes the audio, video and transcript files (and I know how much you LOVE to read the transcripts!) accessible online and for download. 1. Because you'll save up to $20. 2. There's a 30-day refund period! + Earn 5% of purchase price in HealthMeans credits! --->>Learn more about these expert talks to to keep their wisdom nearby! SALE ENDS MONDAY! I think you'll enjoy this amazing event. I sure have! P.S. Don't forget, the sale prices expire on MONDAY morning! Click here to learn more about owning these expert talks now! SUBJECT: 36 immune boosting expert talks -- unlocked all weekend! 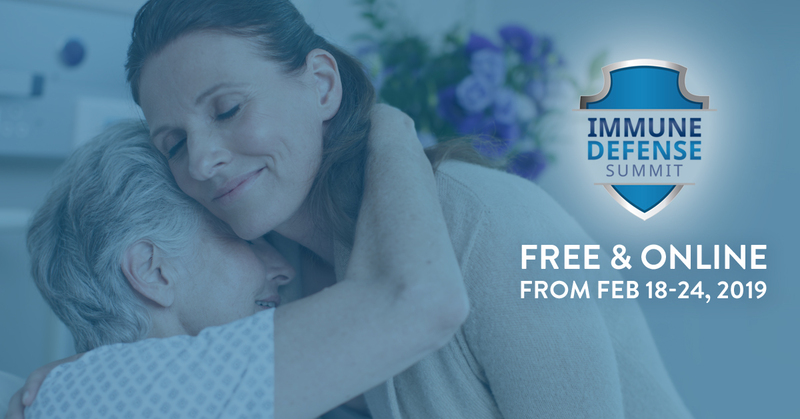 SUBJECT: Don't miss Encore Weekend at The Immune Defense Summit! SUBJECT: [Encore] Learn to boost your immune system... in ONE weekend! 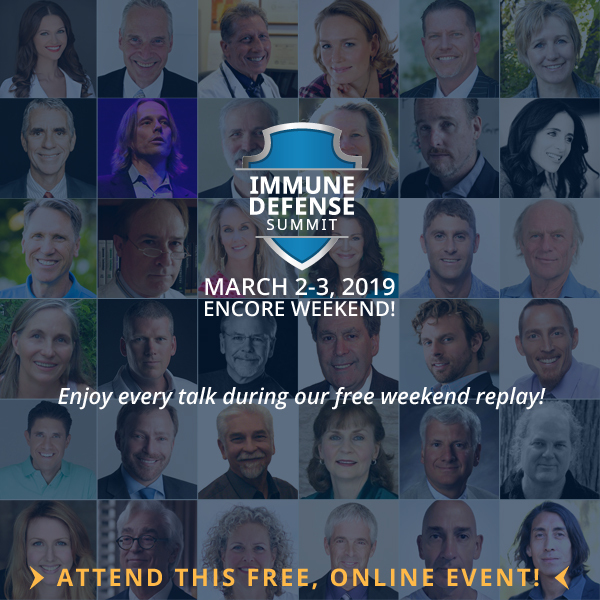 The Immune Defense Summit encore weekend is underway -- all talks are unlocked NOW through Monday at 10am U.S. eastern (New York time)! If you missed the summit, then you missed the FACT that your best defense against today's (and tomorrow's) global health threats is a strong immune system. Too many still remain uninformed about the best protocols to prevent illness and defeat diseases like autoimmune disorders, cancer, heart disease and the looming threat of "superbugs," which are on pace to be MORE deadly than any other health condition. --->1. Start learning immediately when you join me for Encore Weekend! --->2. Purchase the expert talks to watch at your own pace and UNLOCK the online transcripts! --->3. With a purchase, you also UNLOCK $580 in eBooks and eGuides from our experts -- and these resources are typically ONLY available for purchase elsewhere! I hope you take advantage of this tremendous opportunity to learn... for free! P.S. I encourage you to find time in your schedule to catch 2-3 of the "featured" talks -- you'll see how incredible this event truly is! SUBJECT: Early registration for The Immune Defense Summit! 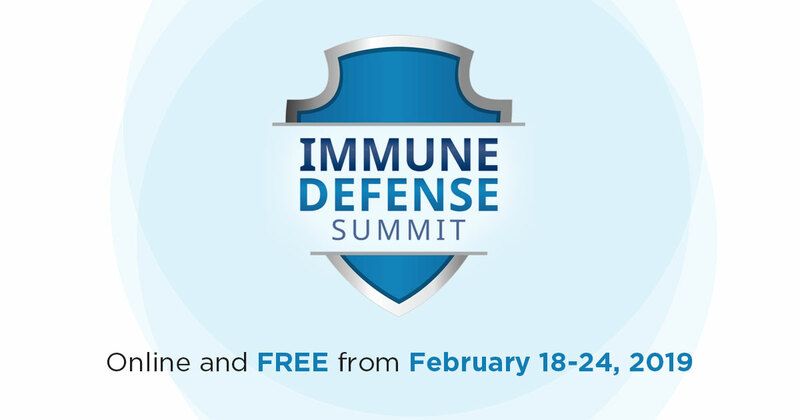 SUBJECT: Don't miss the The Immune Defense Summit! 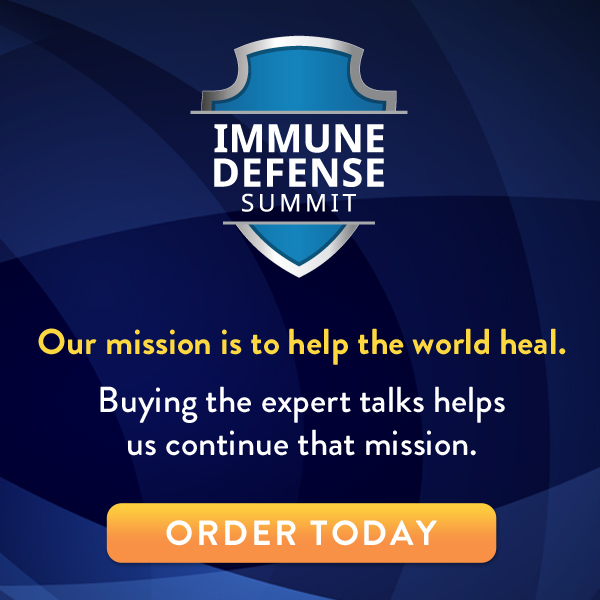 SUBJECT: Join me for The Immune Defense Summit! Your best defense against today's (and tomorrow's) global health threats is a strong immune system. Yet, too many still remain uninformed about the best protocols to prevent illness and defeat diseases like autoimmune disorders, cancer, heart disease and the looming threat of "superbugs," which are on pace to be MORE deadly than any other health condition. 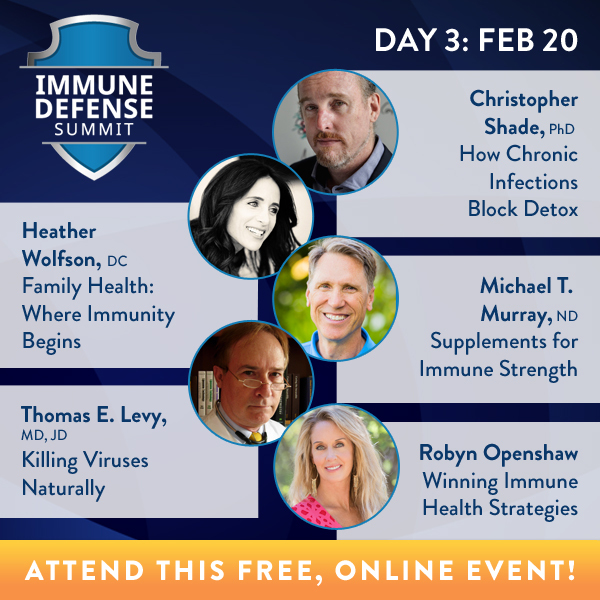 --->>Join me for The Immune Defense Summit, a free and online event! Jonathan Landsman has gathered over 30 of the world's top experts in integrative medicine and science to discuss the strengthening of your immune system to help protect from all types of diseases, including autoimmune disorders, cancer, heart disease, dementias and even common pathogens like the flu, measles and pneumonia. P.S. Drug-resistant bacteria are projected to kill MORE people than cancer by 2050! That's a really good reason to register for The Immune Defense Summit today! SUBJECT: Could strep throat or a scratched knee again be lethal? SUBJECT: The Golden Age of Antibiotics is over. The Golden Age of Antibiotics is over. Last year alone, drug-resistant bacteria, or "superbugs," killed 700,000 people worldwide -- superbugs are projected to be more lethal than cancer by 2050. Dr. Margaret Chan of the World Health Organization has said that we're fast approaching a time when "things as common as strep throat or a child's scratched knee could once again kill." Chronic diseases, like cancer, cardiovascular problems and diabetes are by far the leading cause of premature death in the world. They're avoidable with a strong immune system. 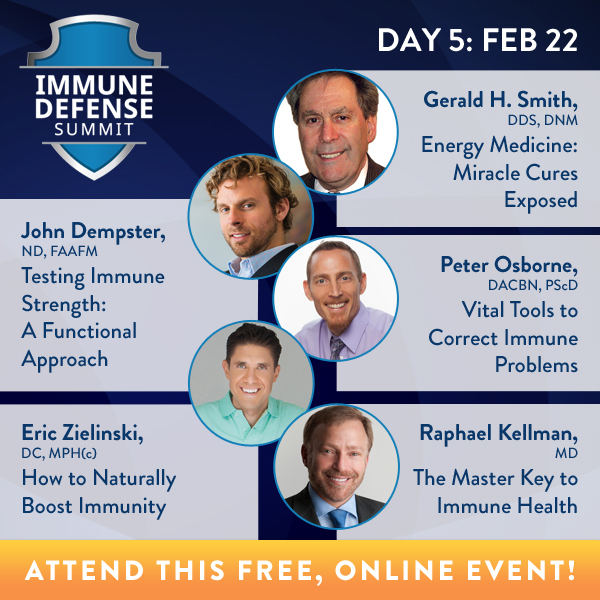 --->>Click here to learn from at The Immune Defense Summit, free and online! Today, we know that poor diet and lifestyle habits can destroy lives -- and this is because these choices can destroy your immune system. Jonathan's wife was constantly troubled with chronic infections that compromised her immune function. Once the infections were eliminated, her white blood cell count dropped and immune strength was restored. She found a new level of energy with a health immune system! He's seen so many of his friends and family members totally reverse their symptoms -- some of the incredibly severe, like stage-4 cancer and hospice care -- that he has made it his mission to bring this wisdom to as many people as he possibly can. --->>That's why I hope you'll join me for the free, online Immune Defense Summit. P.S. Your best defense against today's (and tomorrow's) global health threats is a strong immune system. Don't miss this event when you register today! SUBJECT: Get this 21-page eGuide to slashing chronic disease risk! SUBJECT: Free eGuide on chronic disease and infections! SUBJECT: This eGuide can help with slashing disease risk! Get Jonathan Landsman's powerful, 21-page eGuide, Slash Your Risk of Chronic Disease and Infections, and learn how to help prevent and reverse chronic disease! In this guide, Jonathan describes 21 safe, effective and affordable solutions to help prevent and reverse chronic disease. --->>Click here to download your free eGuide! Many factors contribute to the development of chronic disease. But most experts agree that obesity, poor nutrition, sedentary lifestyle, smoking cigarettes, over-reliance on antibiotics and excessive alcohol intake lie at the forefront. The fact is: health is seriously threatened by diseases that are caused by factors existing within our control. And this is both heartbreaking, and hopeful. Because it means the key to fighting modern plagues that jeopardize our health could be as simple -- and revolutionary -- as making proper lifestyle choices. 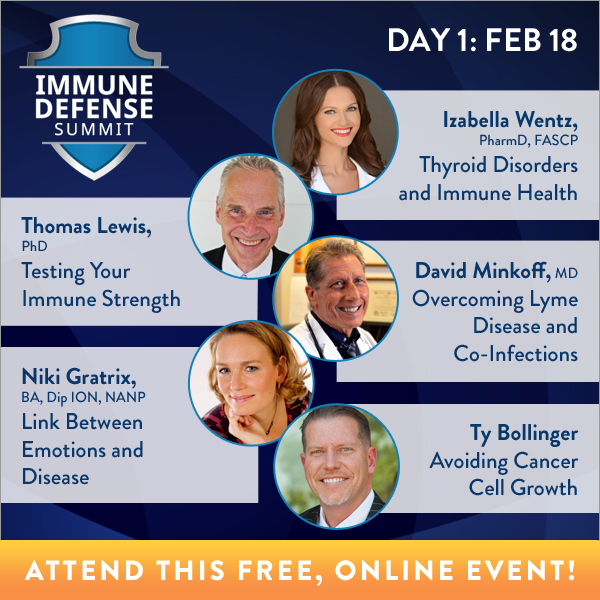 And, be sure to join us on February 18th for the start of the free, online The Immune Defense Summit — over 30 experts learning NEW strategies that BOOST your immune system, and keep you and your family SAFE from pandemics, viruses and chronic diseases! --->>Click here to gain IMMEDIATE ACCESS to Jonathan's eGuide! P.S. Don't miss out on Jonathan's powerful, 21-page eGuide, Slash Your Risk of Chronic Disease and Infections, when you click here to grab it now! SUBJECT: The BEST offense is a STRONG immune system playing defense! SUBJECT: Learn to make your immune system as strong as can be! SUBJECT: Could strep throat or a scratched knee be fatal again? We are facing a serious health crisis. Last year alone, drug resistant bacteria or super bugs killed 700,000 people worldwide, and they're projected to be more lethal than cancer by 2050. And, infectious diseases still remain one of the leading causes of death. Jonathan Landsman, host of NaturalHealth365 and creator of the Immune Defense Summit, has gathered over 30 of the world's top experts in integrative medicine and science to help you understand the immune system's critical role in protecting us from all types of disease including autoimmune disorders, cancer, heart disease, dementias and even common pathogens like the flu, measles and pneumonia. --->>I encourage you to register for The Immune Defense Summit now! Why does this information matter so much? Dr. Margaret Chan of the World Health Organization recently said that we're fast approaching a time when things as common as strep throat or a child's scratched knee could once again kill. Chronic diseases like cancer, cardiovascular problems and diabetes are by far the leading cause of premature death in the world. But, in reality, all of these are avoidable with a strong immune system. And, what's really bothersome? The mainstream media, most of western medicine and government health officials remain silent about the best ways to improve immune health. That's why it's important to attend this event, to help you understand the roots of disease and how to prevent and reverse life threatening illnesses by re-empowering your immune system. At The Immune Defense Summit, the experts will discuss how to eliminate the threat of infectious diseases without the need for toxic medications -- it's easier and safer than you think. You'll also discover how to reverse disease symptoms at the root cause by naturally balancing your immune system. You'll hear how a pneumonia patient in a coma was given up for dead by his doctors, and resiliently survived via a specific nutritional protocol. Your best offense against any disease is a great defense. --->>Click here to register for this vital (online and free) health event!! Copy and paste the following code to use in your own website. This weekend is Encore Weekend at The Immune Defense Summit! If you missed some of last week’s life-changing expert talks, they’ll all be unlocked starting Saturday at 10am U.S. eastern (New York time)! Access strategies to rejuvenate your immune system and reduce chronic disease! It’s Encore Weekend at The Immune Defense Summit! Missed some of the life-changing expert talks this past week? They’re all unlocked for free today! Access strategies to rejuvenate your immune system and reduce chronic disease! One more day! It’s Encore Weekend at The Immune Defense Summit! Missed some of the life-changing expert talks this past week? They’re all unlocked for free today (and until Monday at 10am U.S. eastern)! Access strategies to rejuvenate your immune system and reduce chronic disease! 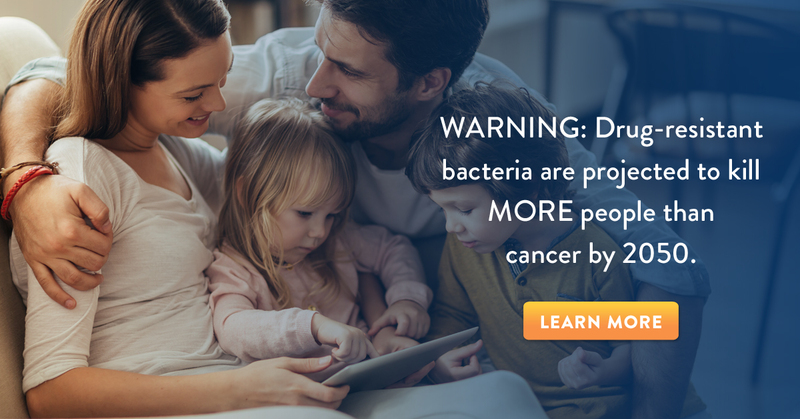 WARNING: Drug-resistant bacteria are projected to kill MORE people than cancer by 2050! Gain the best strategies to rejuvenate your immune system and neutralize the threat of superbugs, pandemics, viruses and other chronic infections. 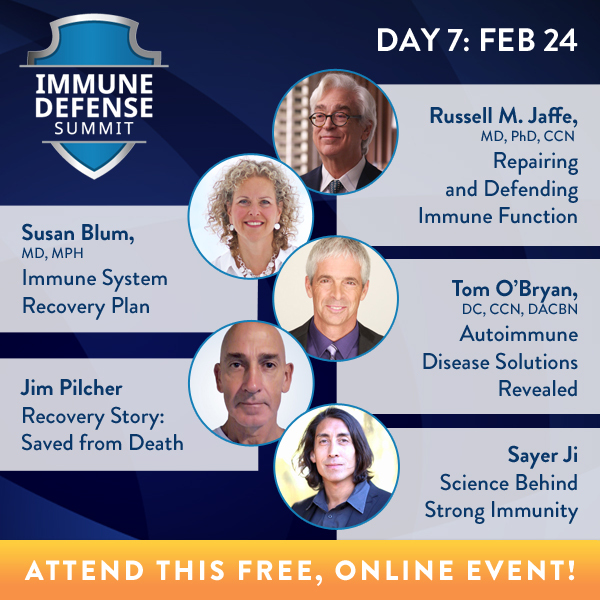 Don't miss The Immune Defense Summit from February 18-24, 2019, free and online! Your best defense against today's (and tomorrow's) global health threats is a strong immune system. Yet, too many still remain uninformed about the best protocols to prevent illness and defeat diseases like autoimmune disorders, cancer, heart disease and the looming threat of "superbugs," which are on pace to be MORE deadly than any other health condition. It's time to give your immune system what it needs to protect your health! 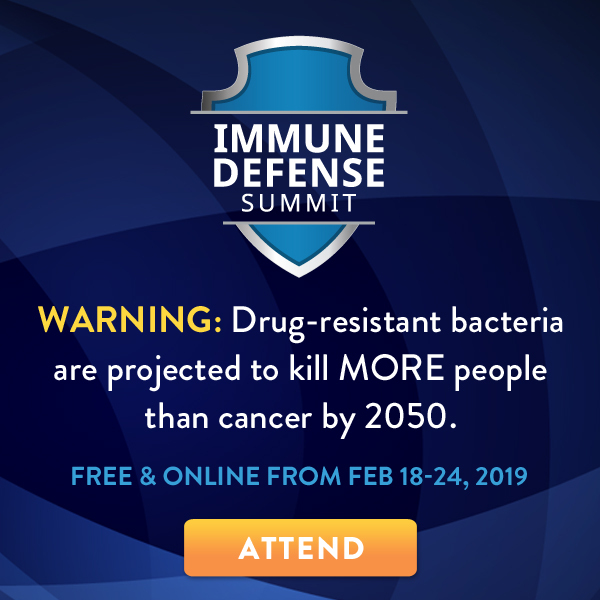 Don't miss The Immune Defense Summit from February 18-24, 2019, free and online! Over 30 of the world's top experts in integrative medicine and science are here to discuss the strengthening of your immune system to help protect you from all types of diseases, including autoimmune disorders, cancer, heart disease, dementias and even common pathogens like the flu, measles and pneumonia. 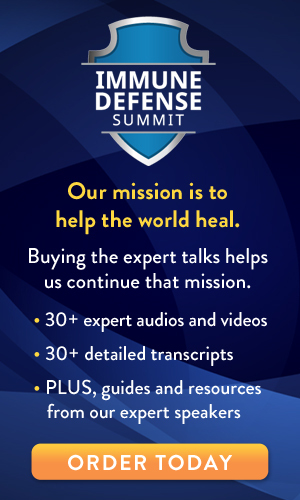 Don't miss The Immune Defense Summit, February 18-24, 2019. 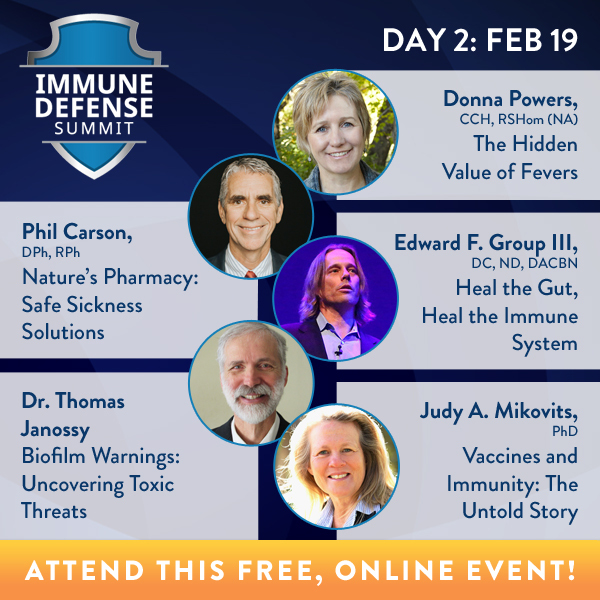 The Immune Defense Summit will teach you: the latest advances in immune protective protocols; how to stop colds, flu and pneumonia; infectious disease solutions (without toxic drugs! ); alarming vaccine news (and safe alternatives!) and strategies to reverse disease symptoms at the root cause. 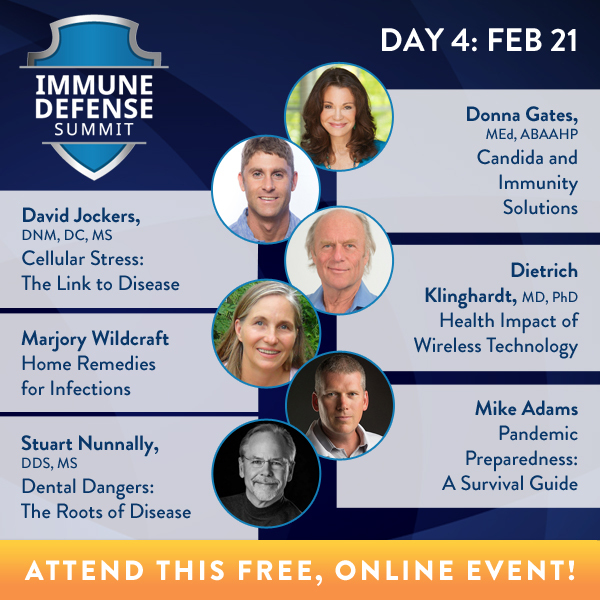 All reasons not to miss The Immune Defense Summit, online and free from February 18-24, 2019!